Where is the best place for a cosmetic surgeon to advertise? In truth, cosmetic surgeon marketing works in a number of different forums because there are a variety of interested and potential clients looking for the perfect cosmetic surgeon for their individual needs. However one of the best forms of cosmetic surgeon marketing is PPC Advertising through Google AdWords. The first thing is to decide which practice areas you want to target including rhinoplasty, liposuction, facelift, breast enhancement, and more. Next you want to decide which areas to target with Google AdWords. You can target an entire city, or a radius of a certain number of miles around your office, and entire metropolitan area like the Dallas metropolitan area for example. You can also choose a custom area and target just certain areas including targeting by ZIP Code. you can choose to only drive calls or give potential patients the option of calling or visiting your website. You want a landing page for each practice area that you want to target. And it’s important that your website is responsive. Responsive means that it is mobile friendly and automatically resizes based on the screen someone is viewing on. It’s also important that you have multiple prominent click to call buttons to make it easy for potential clients to connect with you. And a contact form is also important. When you are paying for each call or click on Google AdWords it is critical that your site converts visitors into paying clients. And having prominent click to call buttons and contact forms makes a huge difference in your conversion rate. You may want to test click to call only one month and then test driving people to your website another month and see which is most successful. To properly manage your Google AdWords account it is critical to track conversions so that you can see which keywords are most successful. For that, you will want a thank you page. That way a copy can be placed on that page to track which keywords turned into leads. And with the rise in mobile searches it is critical to set up call tracking. This way you can gauge the overall ROI of your PPC campaign. 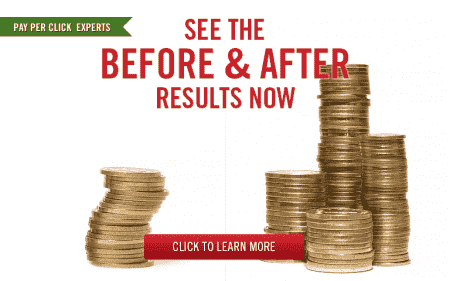 We have helped other cosmetic surgeons be successful with Google AdWords. If we can help you please fill out the contact form at the top or bottom of this page or call us at the phone number at the top. ¿Qué es el Consultor de Google AdWords?What is Pay Per Click Call Tracking?